Egg Tooth is a celebration of the short story—and, by extension, Life. And as I point out in the show, some stories are shorter than others. 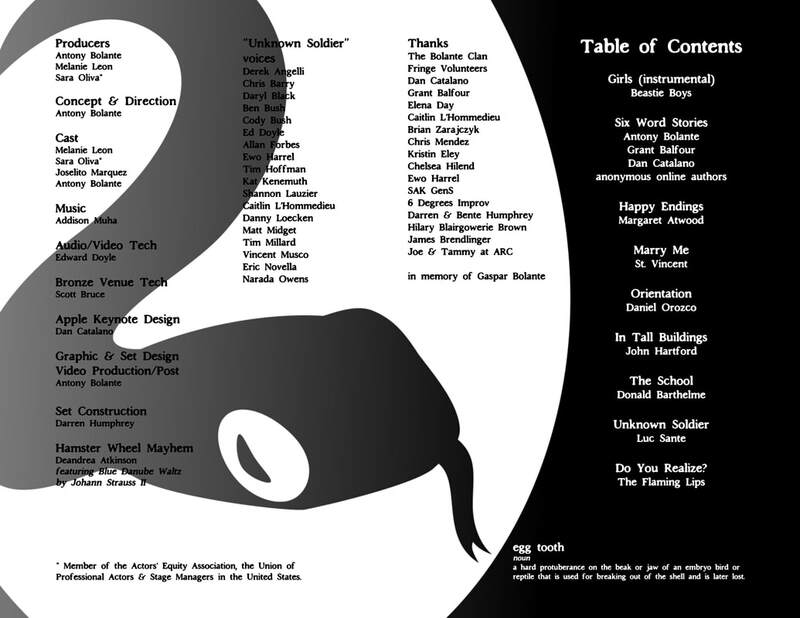 In addition to performing and directing, I curated the pieces and crafted them into a theatrical whole. I also wrote and designed all promotional materials. 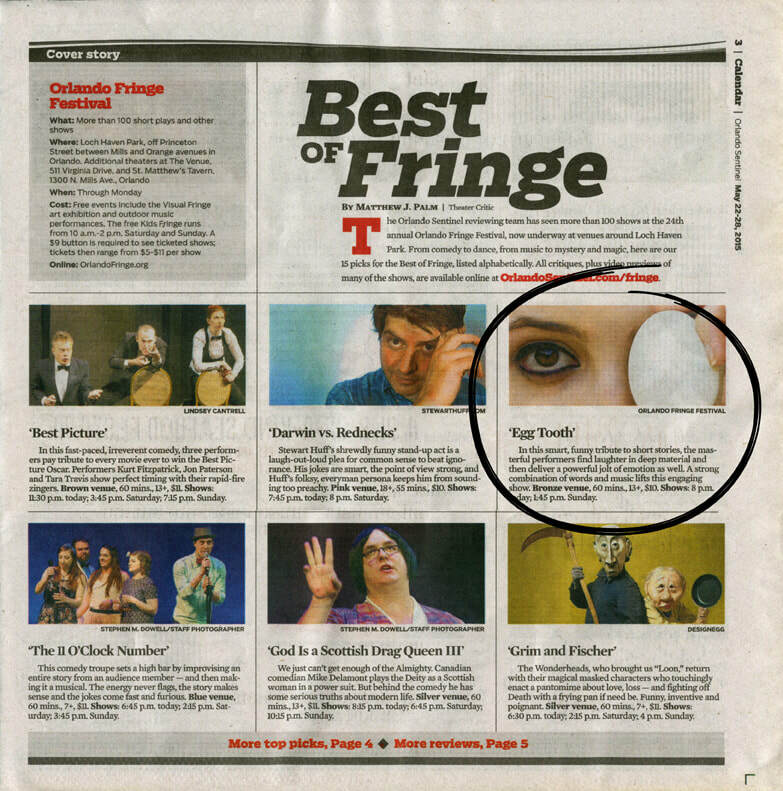 The Orlando Sentinel listed it among the "Best of the Fringe," describing it as "smart and funny." Egg Tooth went on to win the Patron's Pick award for its venue. Joselito Marquez, Sara Oliva, Melanie Leon. Photos by Antony Bolante.